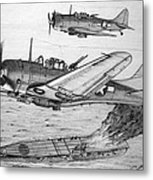 There are no comments for Pounding The Imperial Fleet. Click here to post the first comment. 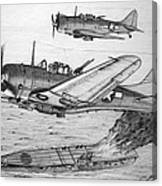 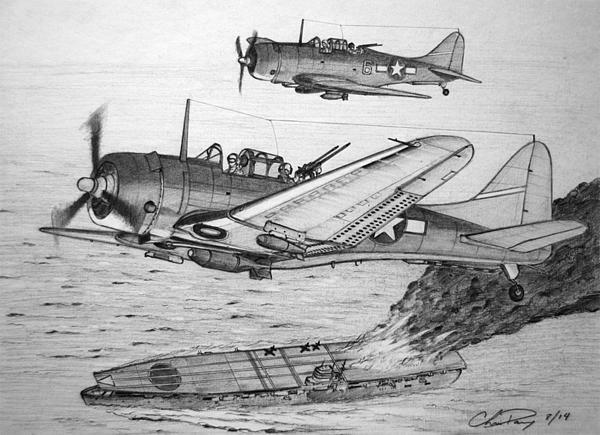 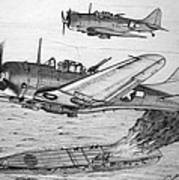 This is a pencil drawing of a pair of US Navy SBD Dauntless on a bombing sortie in the Pacific.